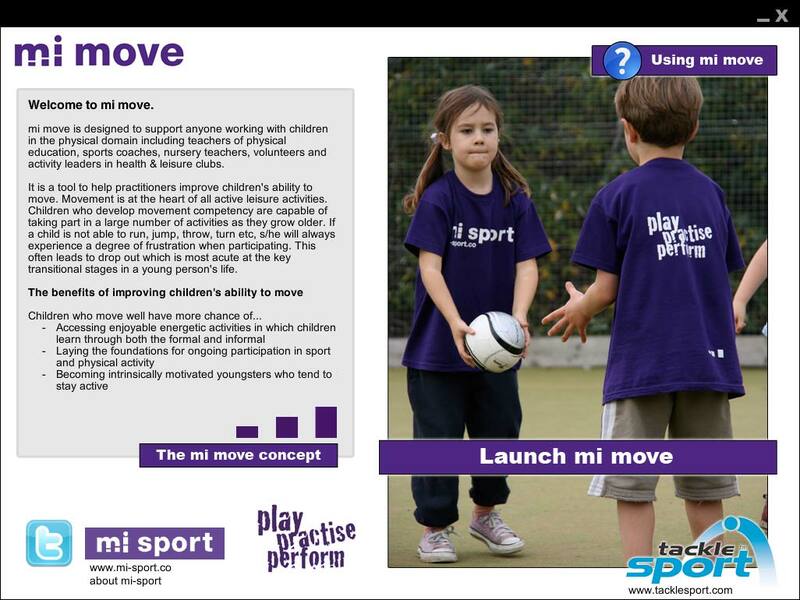 mi move is designed to support anyone working with children in the physical domain including teachers of physical education, sports coaches, nursery teachers, volunteers and activity leaders in health & leisure clubs. 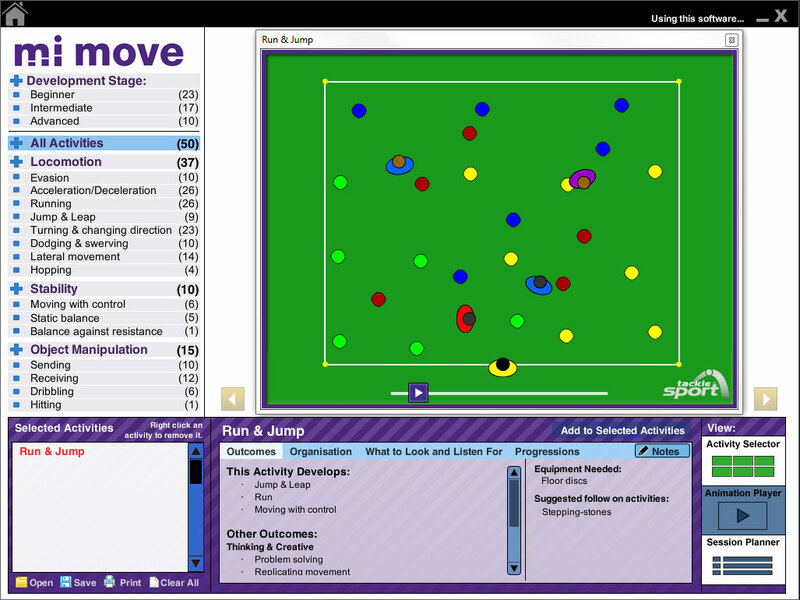 It is a tool to help practitioners improve children’s ability to move. 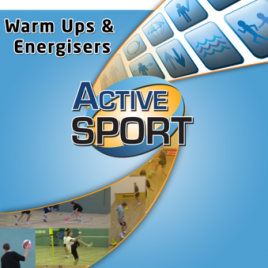 Movement is at the heart of all active leisure activities. 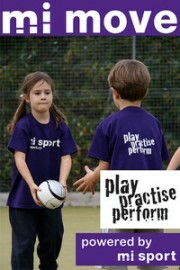 Children who develop movement competency are capable of taking part in a large number of activities as they grow older. If a child is not able to run, jump, throw, turn etc, s/he will always experience a degree of frustration when participating. This often leads to drop out which is most acute at the key transitional stages in a young person’s life. 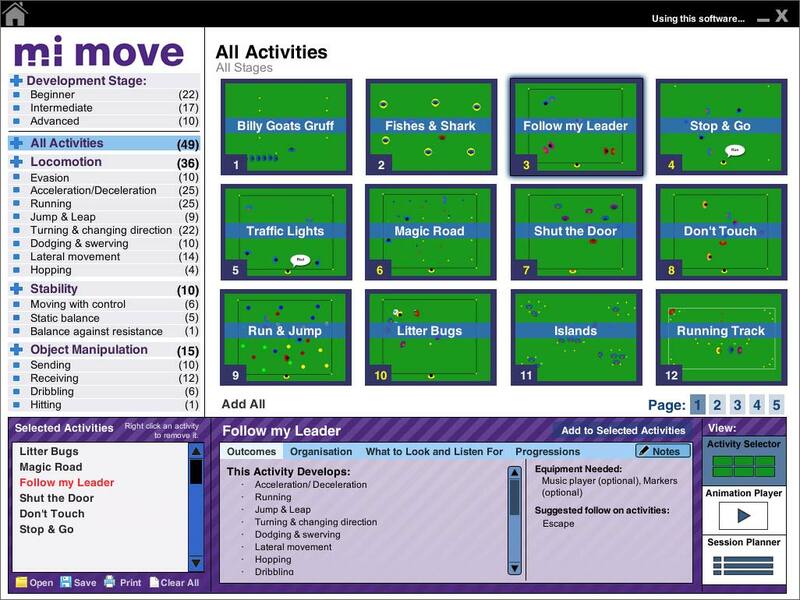 The mi move software contains dozens of child centred activities which are organised by outcome as well as stage of development to allow the practitioner to plan and deliver a session to meet the needs to the children in the class/group. ‘mi move has allowed us to use age-appropriate activities to help children move better. So often, movement focussed sessions become ‘dry’ and boring for young children. mi move has shown us that they needn’t be’. Great product. I use it all the time when I coach in schools.